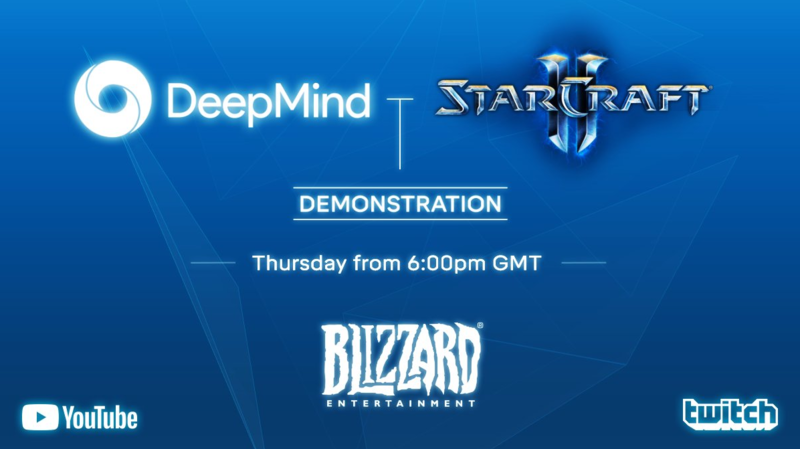 DeepMind is ready to share more information on their StarCraft research through an exciting livestream demonstration! Watch it on their YouTube channel on Thursday (Jan. 24) - 7:00 p.m. to learn what developments have been made. You won’t want to miss it! Apart from joining the AI researches on the screen, you can also come to KN:E-205 and experience the incoming future together with us. Students, teachers, and your gests – everyone is welcome (if we don’t fit in the room, the event is moved next door to 301). The StarCraft games have emerged as a "grand challenge" for the AI community as they're the perfect environment for benchmarking progress against problems such as planning, dealing with uncertainty and spatial reasoning. We don’t know what excatly have the guys from DeepMind prepared for us, but it sure will be worth it. See you there!